﻿ Best Price on Casa Spa Granada in Granada + Reviews! Casa Spa Granada is a property located in Granada, Nicaragua. Guests staying here are entitled to use the facilities at the Hotel Spa Granada, located 2 minutes’ walk from the inn. 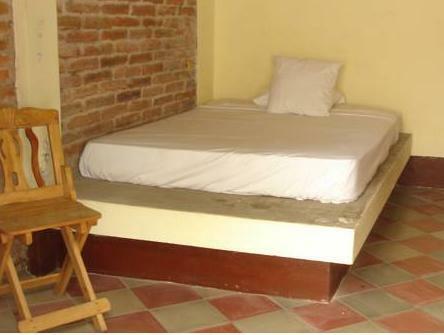 The accommodations are functional and feature cable TV, WiFi access, wardrobe and a fan. The bathrooms are private and have showers and toiletries. Within 300 metres from Casa Spa Granada guests will find various restaurants serving mostly international and local-style cuisine. The inn has a common use, fully equipped kitchen and a supermarket is available about 100 metres away. A breakfast buffet service is also offered on site. The guests will enjoy amenities at Hotel Spa Granada such as an outdoor pool, table tennis, terraces and spa facilities and massage services. Granada Central Park and Granada Cathedral are 300 metres from the property, and the Augusto C. Sandino International Airport is 45 minutes’ drive away. A damage deposit of USD 150 is payable on arrival. This will be refunded upon departure once the condition of the house has been checked. Please note that guests will be able to use the Hotel Spa Granada's facilities from 10:00 to 18:00 hours.